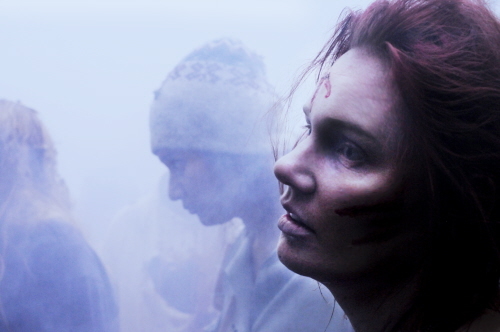 Wesley, a young runner on a Zombie film set, has the first day from hell when real Zombies overrun the set....Who are the real Zombies and who are the extras? Decapitate with care! "Everything about this movie is loud and crass, but with its tongue firmly in its cheek there is no other way to take it than just damn good fun. It goes all out and has no apologies, and that is pretty damn fabulous." 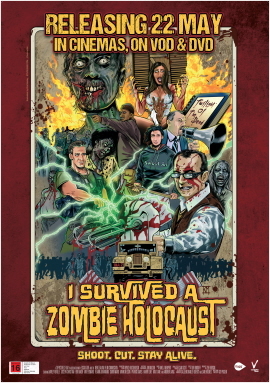 "...when a movie is as good as I Survived a Zombie Holocaust, it should be worn with a badge of honour. 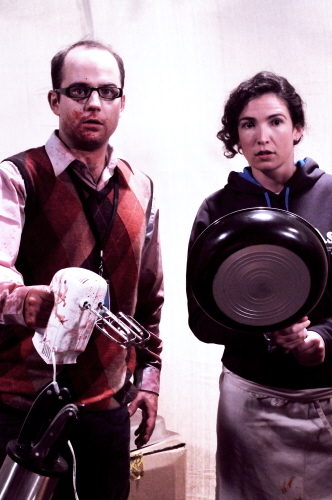 It’s one of the funniest zombie comedies in recent memory (apart from the tremoundous Stalled) and is a great example of how to get the genre right. A brilliant thrill ride that will make you laugh, make you hurl and can even make you cry – even if it’s just from laughing so much." "...funny, and with a good heart to match all the blood and guts, I Survived A Zombie Holocaust is an infectiously self-consuming artifact from the land of the haka..."